Innovative new eco builders from Pembroke who have a vision for the future of sustainable building. Renewable energy company Ace Energy held the official launch of their partnership with BlueGen manufacturers – Ceramic Fuel Cells Ltd during the Mitsubishi Electric Renewables Roadshow. The event held at the National Renovation Centre on 31st October presented the benefits of combining electricity generating fuel cells with air source heat pumps. BlueGen is the world’s most efficient, small-scale electricity generator, delivering up to 60 per cent electrical efficiency. BlueGen delivers 13,000 kilowatt-hours of low-emission electricity per year which is the equivalent output of around 12 kWp of solar PV. Being a combined heat and power generator it will also provide 200 litres of domestic hot water per day increasing its efficiencies to 85 per cent. Considering that a power station delivers maximum efficiencies of just 30 per cent BlueGen is a significant development for onsite microgeneration. It has a wide operating range and as it works day and night – through summer and winter – it can be used to balance electricity from intermittent renewable sources such as solar and wind. Keith Joynes of Ceramic Fuel Cells explained that when installed alongside a heat pump technology like the Mitsubishi Electric’s Ecodan® significant savings can be made on energy bills. 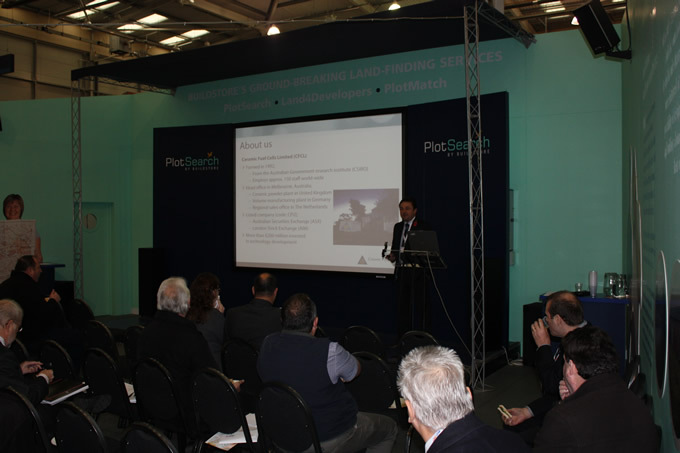 Keith told the Renewable Roadshow audience – which ranged from self-builders and green energy consultants to housing association and local authority executives – that together the two technologies can have a significant impact on reducing fuel poverty and carbon emissions. One of the major attractions for the social housing sector is that BlueGen installations and their ongoing maintenance can be fully funded through an ESCO scheme. This means that a residential social landlord can address issues of fuel poverty and pollution without having to meet the costs themselves. Ace Energy have built a strong working relationship with Mitsubishi Electric since it originally launched Ecodan in the UK seven years ago and are now extending the benefits renewable heating offers by bringing BlueGen to market. We have doubled our special offer discount when you switch to Good Energy, the UK’s only 100% renewable electricity supplier. Quote ‘Dorset Energized’ and they’ll give you £50 off your first bill (this offer is open to all UK customers so you don’t have to live in Dorset). Cornwall-based Kensa engineering, has launched the smallest ground source heat pump on the market, designed to provide space heating and domestic hot water for flats and small dwellings. 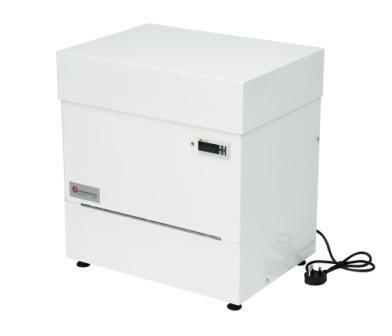 The Shoebox Heat Pump is small enough to fit inside a kitchen cabinet! Like all ground source heat pumps it is ideal for new builds, but it can also be retrofitted to properties that have suitably sized outside space, such as a car park, to contain the boreholes for the heat-collecting slinky pipes. The system is certified under the Microgeneration Certification Scheme (MCS) and is eligible for funding under the commercial Renewable Heat Incentive (RHI) because it qualifies as a district heating system. The marketing executive at Kensa Heat Pumps has been reported as saying that the approximate cost per unit is around £4000, including the borehole and other costs, and that it would typically pay for itself over the lifetime of the RHI. Find more about Heat Pumps here: www.letsgetenergized.co.uk/energy/heat-pumps. 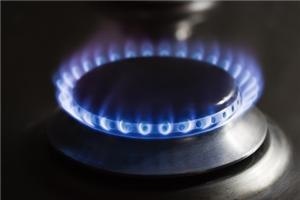 Most people are now worried by their rising energy bills, highlights an article in Greenwise published on 16th October (http://www.greenwisebusiness.co.uk/news/rising-energy-bills-are-biggest-worry-to-householders-3599.aspx). Apparently, the YouGov Household Economic Activity Tracker (HEAT) shows that UK consumers are more worried about energy price hikes over the coming year than they are about unemployment, inflation or taxes. However, at the same time, most people can also make lots of really easy savings. 1. Simply use less energy! Turn off appliances at the plug when not in use – especially equipment (like phone chargers) that includes a transformer. Turn lights off if you’re the last person leaving the room – even if you think someone will be back in a few minutes. Only fill the kettle to the level you need to use at that moment. You could also change the timings of your central heating and hot water so that it comes on a bit later and goes off a bit earlier. For more tips check out: www.letsgetenergized.co.uk/energy/energy-efficiency. Contact DEAC on 0800 975 0166 for more information and free, impartial advice about saving money through saving energy. Transition Town Bridport are running 2 Draught Busters workshops to help people reduce their heating bills. 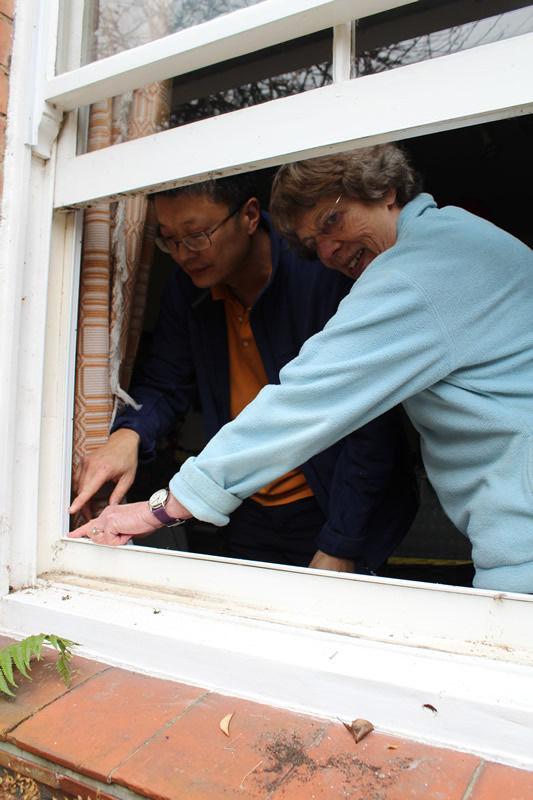 The workshops will be run by Chit Chong and willinclude training on how to stop draughts around leaky windows and doors, and is suitable for anyone who can use a small hammer. Transition Town Bridport will also supply the materials at cost to participants. Typically, the cost will be around £10-£15 for the plastic strips; the workshops are free. Cutting out draughts makes a huge difference to keeping a house warm and cosy, and saving money from fuel bills, as well as reducing our dependence on fossil fuels. Chit has recently started a business in Bridport providing more extensive insulation, and he will be available to discuss other ways of saving energy in the home. His website is at www.dorsetdraughtproofing.co.uk. Anyone who would like to attend a workshop should email admin@transitiontownbridport, telephone Chit Chong at 01297 480825 or visit www.transitiontownbridport.co.uk. 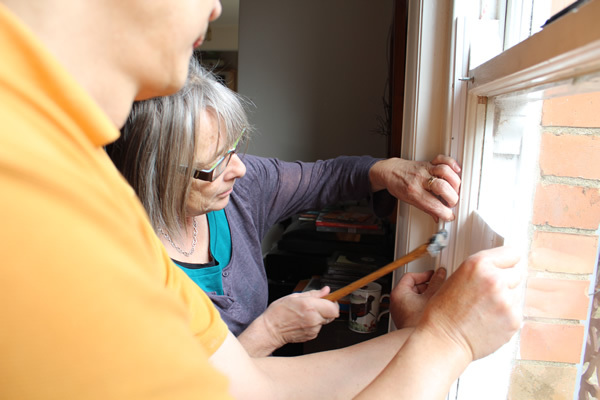 "People often ignore measures like draughtproofing, but they can save as much wasted energy as double glazing – and doesn’t cost anything like as much ! Invest in some sealant today! " We have been saying that CERT, the mechanism behind utility companies providing money for insulation grants, is on it’s last legs for so long, it feels a bit like we’ve been crying wolf. The official end date was March 2011, but it’s been extended and extended to allow for the Green Deal, it’s replacement, to be fleshed out (to a point) and (soft) launched. For Scottish and Southern Electricity (SSE), the provider of grants for our area, the main funding stream is now closed. However, Dorset Energy Advice Centre (DEAC) have negotiated a separate stream of funding with SSE so that we can continue to offer grants until early November. We are also investigating other funding opportunities to enable this service, providing free insulation, to be extended for as long as possible. The Green Deal was officially launched on 1st October 2012 with the establishment of an enabling legal framework. From 28th January 2013, Green Deal Providers will be able to offer Green Deal plans to consumers and begin deliver a wide range of energy efficiency and heating measures at no up front cost to the customer. In practice it means that these few months are intended to be used by Green Deal providers, assessors and installers who can start to become authorised to provide Green Deal services and to display the Green Deal Quality Mark, and put in place their quality systems for delivering assessments to customers . DEAC, our Green Deal partners and network of local installers, have been preparing to be Green Deal ready for a number of months, and these activities are progressing well. We will be offering assessments, plans, installed measures, and providing finance options that are as locally-based as possible to ensure a high quality service to the customer. From the date of the installation, you will receive that amount plus the annual index-linked uplift for the duration of the FIT payments. Note that from 1st August 2012, evidence of the property’s Energy Performance Certificate (EPC) rating will be required when applying for FITs. If no evidence showing the EPC has a band D or higher, then the lower rate of FIT will apply. Energy Performance Certificates have been a mandatory requirement of the Home Information Pack since 2007. If your home does not already have one, call DEAC to get one arranged on 0800 975 0166. The domestic element of the Renewable Heat Incentive, (RHI – like FITs except for heat energy produced by renewable, e.g. solar thermal panel producing hot water), won’t be available until mid-2013. However, the interim offer of approximately 10% of the install cost for some of these technologies, the Renewable Heat Premium Payment, is still available until the end of March 2013, subject to funding. For more details see http://www.energysavingtrust.org.uk/Generating-energy/Getting-money-back/Renewable-Heat-Premium-Payment-Phase-2. For further advice on any of the above incentives, get in touch with myself or my colleagues at DEAC on www.deac.co.uk or call 0800 975 0166. Big Energy Savings Week aims to raise awareness with consumers on help that is available regarding energy bills, providing advice on energy efficiency and much more. This year, Big Energy Saving Week will take place between 22–27 October 2012. The name reflects the collaboration with the Energy Saving Trust, who traditionally hold an event in October called ‘Energy Saving Week’. Citizens Advice will co-ordinate the week in partnership with a large and diverse range of national organisations, including Government, charities, advice agencies and energy suppliers who are providing an increased level of funding to support the week. Rural communities are a key target for this week and there are a range of opportunities for RCAN members to participate in promoting BESW – from running an event to promote your oil buying scheme or working in partnership with CAB, Age UK and others to deliver a larger project. RCAN members can attend free training provided by Scottish Power or apply for funding for fieldworkers to take a City and Guilds Energy Awareness course. * A small grants fund for partners to help with the costs of holding events or providing advice. * A larger grants fund, Local Delivery Fund, which local partnerships can apply for – to further the work of BESW in the long term (application form available to apply for funding and the closing date is 10 September 2012). * Free half-day training sessions nationwide for 1,500 fieldworkers and advice workers on switching, energy tariffs, energy efficiency and more. Places will be allocated on a ‘first come, first served’ basis. I’ve Switched to Good Energy for ‘Feel Good Energy’! I was very excited to hear of Good Energy’s latest news that they have reduced their gas prices for dual fuel customers, as I’ve been planning to switch to them ever since I started working on the Dorset Energized website, but was a bit worried it would cost more, when we’re trying our best to reduce our household costs wherever we can! But…. with this latest offer there really seemed no excuse to put it off any further and having checked on their website for our actual energy use today, it looks like they will cost exactly the same as our current provider BUT now we can also have ‘feel good energy’ and a clear conscious, so I can’t wait to know that all the energy running through our home and office comes from the greenest energy provider in the UK! That means they tend to cost about the same as the Big Six’s standard dual fuel tariffs. Check out their prices for yourself here: http://www.goodenergy.co.uk/switch/our-prices. Good Energy’s electricity is 100% renewable and with your help they can build more new sources of renewable energy production, like their wind farm in Delabole, Cornwall, and continue to support a growing community of over 40,000 independent generators across Britain with their industry-leading Feed-in Tariff service. I’m going to be on their Gas+ tariff as buying gas from Good Energy isn’t like buying gas from anyone else, because they’ll use some of my bill to reward people who generate their own renewable heat. So quite simply, it’s only with Good Energy that you’ll help the UK reduce our dependence on fossil fuels and get a gas supply. Plus, because I was referred from the Dorset Energized website I’ll get £25 off my first bill as a bonus! 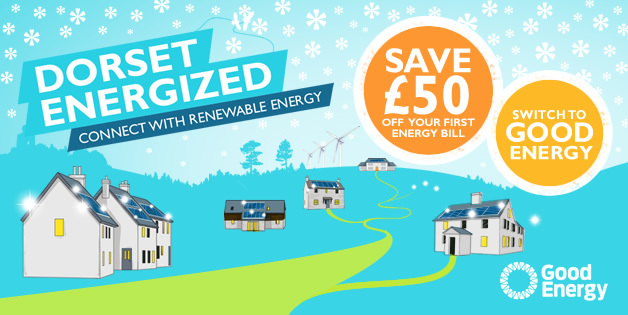 So, if you do 1 thing today… join me and switch to Good Energy and get £25 off your first bill too – find out more on our webpage here: http://www.letsgetenergized.co.uk/energy/switch-energy-suppliers/. "Good News from Good Energy! We’ve just been informed today that everything has now transferred so our home and offices are powered by 100% renewable electricity and we are further supporting Good Energy’s investment in renewables by being on their Gas+ too, which means we’ll get money off as a dual fuel customer! PLUS looking forward to getting £25 of our first bill which will at least go towards the £50 fine Scottish Power are charging us for breaking the contract (but of course no one ever reads the small print!!!). " "I have been a customer of Good Energy for so many years now I can’t remember – at least 10. I was introduced to the idea by eco-friendly friends of mine, and even though I was a single parent, I was happy to pay a little bit extra to make sure my electricity was being sourced from renewables. I have since moved house and Good Energy made that very easy for me. I have also had solar PV panels installed and have had no problems getting the Feed in Tariff paid – unlike customers of other suppliers, I hear! I have not had to contact Good Energy very often, but each time I have it has been like chatting with a friend. They are a great organisation and I would recommend them to anyone. " "I’m in the same situation as you – I’m renting my current home and therefore can’t invest in solar panels or other large-scale renewables projects. Good Energy does look like the perfect solution for people in our situation, as it enables us to get 100% green energy even if we’re not generating it ourselves. Well, you can’t have everything! :-) Although when I buy a home within the next couple of years, I will go a step further and have solar panels installed. " "These guys do what it says on the tin, they offer a fair constant deal, total commitment to renewables and really any extra cost is negligible. For me, it’s something simple that almost makes you feel good about paying your bills! " Loving The Green Schools Revolution! I’ve come across a fab app from The Co-operative I had to share with you in case you hadn’t seen it yet! 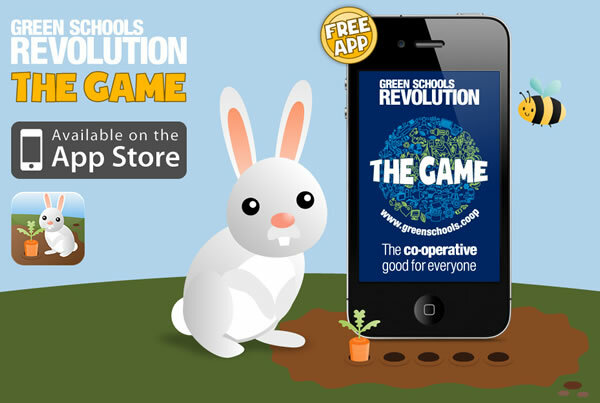 The Green Schools Revolution Game is supposed to be ‘a fun way to turn the kids green’! The FREE game for iPhone, iPod touch and iPad is filled with fun games and quizzes to get the green message home. They reckon that ‘Chances are, the big kids will love it too’ (I would if I had an iPhone – perhaps they’ll launch it for Android one day too – please let me know if they do!). Energy saving game – turn off the lightbulbs to save energy and gain points! Be a water watcher – can you turn off the taps to save water and keep the ducky afloat? Harvest carrots on the farm, but be quick before the rabbit beats you to it! Catherine Fisher from Swanage (who now lives in Scotland but frequently visits Dorset) has lovingly renovated her old family terraced cottage in Wool, in an eco-conscious way, and I am very impressed by her commitment to making it as green as possible simply because she feels it is the right thing to do! SOLAR THERMAL PANELS on the roof heat all the water, of which there is always an abundant supply (but of course she encourages her guests to be mindful of their water usage). All appliances are electric (no gas) and powered by Good Energy’s 100% RENEWABLE ELECTRICITY upon Dorset Energized’s recommendation (and she respectfully asks visitors to be mindful of their energy usage and to switch off appliances and lights when not in use). UNDERFLOOR HEATING is more energy efficient. The WOODEN FLOORS are also an eco-friendly product designed to retain heat and are also very hardwearing so shouldn’t need to be replaced. A WOODBURNER is more energy efficient and uses carefully sourced wood logs as fuel. ENERGY EFFICIENT LIGHTBULBS are used on all light fittings throughout the whole cottage. The kitchen table was made from RECLAIMED WOOD and both beds and mattresses made from SUSTAINABLE SOURCES. ECOVER products are provided for her guests convenience and the cleaners Dust & Shine also use ECO-FRIENDLY products. There is deliberately no tumble dryer to encourage guests to use the WASHING LINE to save energy. 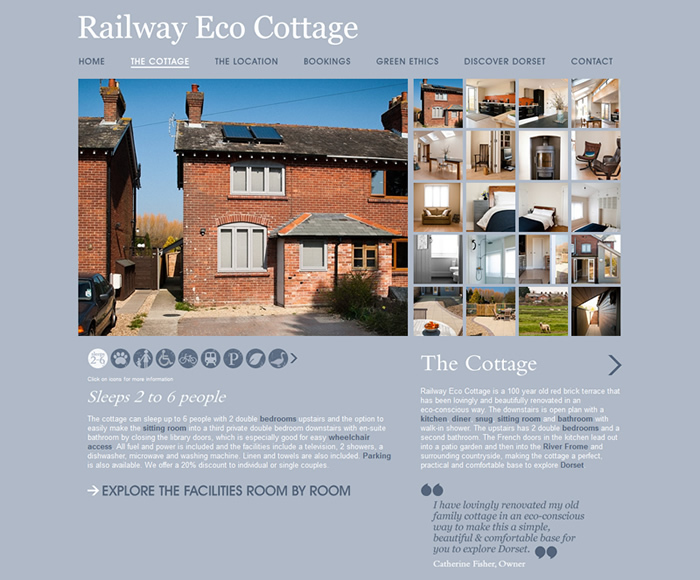 She encourages her guests to take advantage of PUBLIC TRANSPORT especially with Wool train station situated next door, or to explore Dorset by walking or cycling. Guests can keep their bikes in the undercover porch or shed but she is also currently building a special area just for bikes. The garden shed has a WOOD STORAGE area and she makes RECYCLING and COMPOSTING easy with specially fitted bins in the kitchen cupboard doors. Even during the renovation, Catherine was very careful not to waste any materials that could be RECYCLED and used ECO-FRIENDLY PAINTS. The cottage is a perfect base to explore Dorset for anyone who loves simple holidays and nature, especially with it being right by the River Frome, and is ideal for eco-conscious travellers. Just one advantage of push-bikes is their low running costs – I use mine almost every day, yet have spent only £40 on it over the last 3 years! Here is the link to a very interesting book www.withouthotair.com. Also, here is a link to a video of the author discussing the subject, which complements the book rather well: www.youtube.com/watch?v=GFosQtEqzSE. And an interesting link to a site which allows you record your energy (gas and electricity) consumption and displays it in graphs as you accumulate values over time: http://readyourmeter.org. I’ve just started using this to record my landlord’s household energy consumption. There are 6 of us in the house and we will try to reduce our consumption each week, in an effort to beat that of the previous week, thus steadily reducing costs. Quite a nice activity I hope might catch on here in Dorset! It is actually explained by the author of the book in the video link above at 36 min 45 seconds into the video. Wimborne Minster Town Council, Dorset County Council, East Dorset District Council and Leigh Park Community Association helped Leigh Park Community Centre to install a Ground Source Heatpump to power their underfloor heating. To use Ground Source Heat Pump to heat Community Building to lower carbon emissions and reduce heating costs to community and public bodies. The heat pump is a success and is working well. We applied for a grant from LCBP for 50% of the costs of the heat pump. The grant took a long time to apply for and came through 6 weeks after we had paid the contractor so funds had to be used from our reserves. A great deal of information had to be extracted for the grant and as the grant was fixed, the extra, unforeseen costs that were incurred during the installation process had to be born in full by the Council. 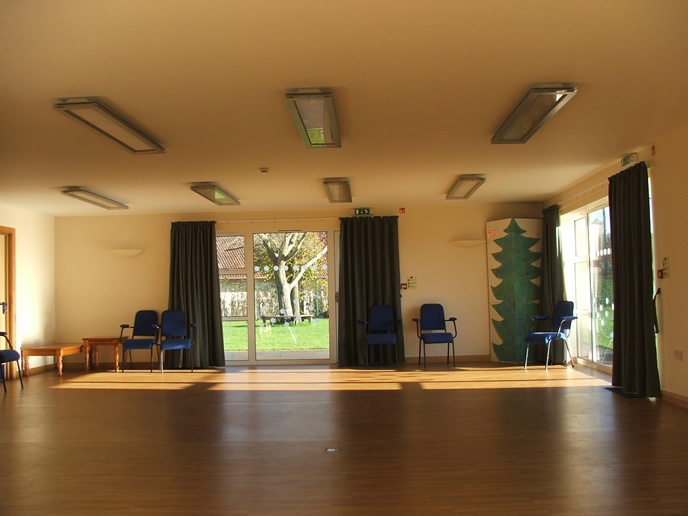 The Community Building is shared between SureStart (60%) and Leigh Park Community Association(40%). Both Groups were consulted on the installation of the heat pump and supported its installation to reduce running costs to both groups and lower their carbon footprint. For more information visit www.leighparkcommunitycentre.org.uk. This story was provided by Sustainable Dorset, the website for DA21: www.sustainabledorset.org.uk/community-energy. Solar panels installation at Thornford Primary School, Dorset. Thornford CE VA Primary School is a “green flag” eco school and has been involved with the Eco Schools programme since 2007. The school has a dedicated eco committee who carry out, amongst other things, yearly environmental assessments of the school including the building and grounds. From these assessments action plans are drawn up on ways to save electricity, raise pupil, staff and carer awareness and ways of improving sustainability within the school. A number of green initiatives have been implemented since 2007 including; recycling paper, cardboard, tin cans, ink cartridges, clothing, planting hedgerows, creating wildlife areas, installation of an outdoor classroom and raising a greater understanding of the wildlife upon whom share school facilities. Pupils, staff and governors at Thornford CE VA Primary School are continually looking for ways of improving sustainability within the school community. It was a natural progression to undertake a large scale project such as Project PV. It was felt that the installation of PV panels would not only help the school to reduce its carbon emissions and save money on electricity but it would also act as a useful teaching tool for the school and the wider community. A grant-funded feasibility study was commissioned by Encraft. The company’s service extended to advising on grants, installers and planning approval, which the school found invaluable. The school found the planning process relatively straightforward and planning permission was granted swiftly. Part of the application was to trim the neighbouring walnut tree allowing more sunlight onto the panels, but unfortunately this was rejected due to a tree preservation order. After consultation with the installers it was decided it would not significantly impact the efficiency of the panels. EcoFirst, a local installation company, was commissioned to install the panels during the October half-term 2010. An electricity monitor was placed in the school hall so all pupils, staff, governors, carers and visitors can see first hand the electricity being produced and the carbon emissions being saved. It is early days for Project PV but to date 280 kWh of electricity has been produced. It is anticipated that the panels will reduce the school’s annual electricity bill by around £850. The school found the grant process challenging and time consuming with many hours spent filling in grant applications and waiting delayed decisions. The school was grateful to receive grants of £8,615 from LCBP2 and £4,500 from Dorset County Council, however this left a shortfall of approximately £5,000 which needed to be found. The timeframe from first notification of the LCBP2 grant to implementation and completion of the project was also challenging in that it did not give enough time to find the shortfall of monies. After a number of unsuccessful grant applications to utilities, the school had no option but to make up the shortfall itself to ensure Project PV went ahead. A questionnaire was sent to all 358 households in Thornford to gauge their level of support /feeling towards Project PV. 71 households returned their questionnaire. 96% supported the idea of solar panels whilst 69% felt it was important that Thornford community attempted to reduce its carbon emissions. 80% said if the school could show significant savings on energy and cash from PV panels, it would inspire them to see how they could save energy at home. Local building contractors Crestmoor Construction, who work closely with Somerset and Dorset County Councils with highways maintenance, were originally contacted by Shane Rendall at FJ Chalke Wincanton regarding Nissan’s commercial vehicles. After a conversation with the Director of Crestmoor Construction, Kenny Higgins, it became apparent that they were more interested in reducing the company’s carbon footprint. This is important to them because they work so closely with the county councils who are required to greatly reduce their own carbon footprint by 2015. For them this means using contractors who make efforts to boost their green credentials. The Nissan LEAF achieves this perfectly, NO exhaust means ZERO emissions. Mr Higgins was also very interested in taking advantage of the LEAFs other big benefit, being 100% tax deductable in the first year. The car is used to travel between sites and for surveying, the have made a huge saving on fuel costs, this is due to a comparison made on their previous vehicle. It is worked out over 3 years and compares the LEAF with their Nissan Pathfinder automatic and covers their average mileage of 500 miles a month. The results of which are astounding. This figure does not include hefty servicing and insurance costs. This figure does not include insurance. The car is tax exempt and servicing will be considerably cheaper. So using a LEAF saves them £11,096 on fuel alone which proves that LEAF was the answer to drastically bring down running costs and improve their carbon footprint, and now they have achieved this even more than they thought was possible. To promote their green credentials whilst out and about on the road, they had the car decaled with their logo.